If you own a real USA made Steinberger or an LSR or Klein guitar and you need a fret job. Ed Roman can do it !! 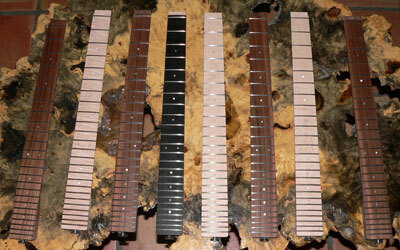 Ed can also can supply you with a brand new custom neck for about the same price with your core trade in. 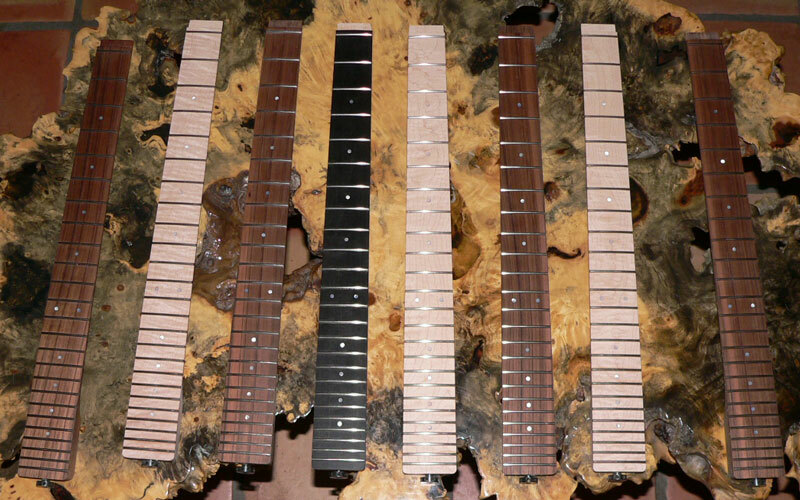 Ed Roman's necks are all technologically evolved from the old 80's original Steinberger design. Some of the new designs available from the wizards in Ed's shop. Unlike the necks that Music Yo is using all Ed Roman necks are made to fit exactly with the original Steinberger USA made $125.00 headpiece. The Music Yo models come with a $6.50 headpiece. So if you have a Music Yo guitar these will not fit. If you have a Music Yo guitar and you want to upgrade to this neck you must purchase an original Steinberger headpiece also. The LSR Brand Neck uses a completely different blend of Carbon Graphite, Kevlar and Epoxy. The Carbon graphite necks LSR offers are an upgrade. They are blended completely differently than the original Steinberger blend of almost 26 years ago. The original composite blend was a mixture of Fiberglass, Kevlar, Strandular Carbon Graphite Fiber and Epoxy. This blend works quite well it is designed for stiffness reliability and stability. Today's chemists, physicists and other assorted Einstein Propeller Heads know a lot more about the tonal characteristics of Carbon Graphite than they did years ago. The newer LSR Blend TM Graphite is designed more with sonic performance in mind. It is totally different from what any of the other companies like Modulus, Zon or Steinberger offer. Without giving away any deep dark trade secrets I can safely say that the LSR Blend uses a lot less Epoxy stiffener in the mix. (The sacrifice here is of course stiffness). That is compensated for with the addition of a truss rod and the Carousel TM truss rod adjuster. The many benefits outweigh the one sacrifice. The sonic resonance is measurably different, Even to a non trained ear the difference stands right out. The truss rod allows adjustment of the neck relief so that every player can adjust the feel of the neck to meet their own personal requirements. The neck is satinized to get away from the stock bowling ball feel. There is a truss rod which allows for several different relief's to accommodate several different basic styles.